A man in his 80s has been released after being interviewed by detectives investigating allegations which arose following revelations about TV presenter Jimmy Savile. The man, from Berkshire, attended London police premises by appointment and was interviewed under caution. Officers from the Metropolitan Police's Operation Yewtree searched an address in Berkshire on Saturday. 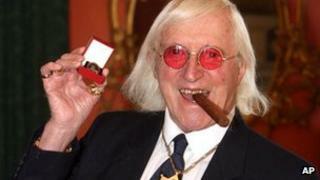 The police said it was part of the inquiry not directly related to Savile. The man arrived at 12:00 GMT, said the Met. He has not been charged.